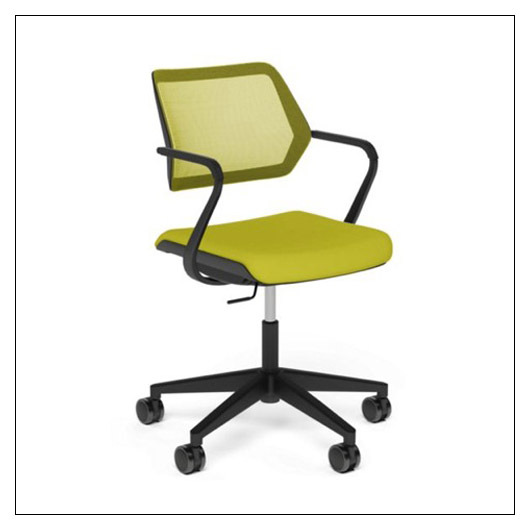 Steelcase QiVi 5-Star Chair (SCQIVI) at Pure Design / Seating / Workspace ::: Furniture for the Home, Office, Home Office, and More at Pure Design Online! People don't just sit in meetings. They interact, brainstorm and create. QiVi, an intelligently designed collaborative chair, encourages movement, supports multiple postures and provides comfort for extended periods of time-fostering collaboration in a variety of settings. Designed specifically to foster collaboration, QiVi moves with the body so users stay focused, energized and productive. In today's workplace, people are more collaborative than ever before. "Lower 48" United States sales only. Please allow an additional two weeks to ship.